Getting dropped calls on Telus? Maybe not after this new repeater tower is installed. Crews were working in the area of Sturgeon Road and Saskatchewan Avenue Monday putting up this 140-foot tower on a farmer’s property. Bet the farmer cleaned up nicely in the deal. A spokesperson for Telus says this is one of many new additions to the Winnipeg market. 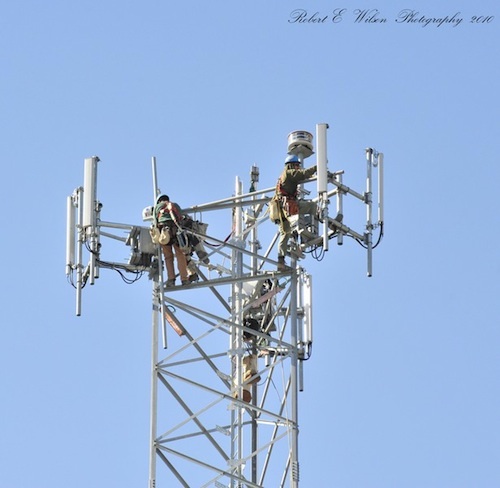 Looks like they’re getting ready for when Rogers hooks up to MTS’ towers in the next couple of months to strengthen its own network. Telus … the future is friendly competitive.